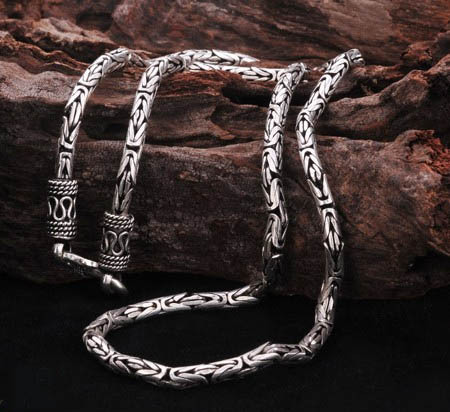 This Tibetan Handmade Necklace Tibetan Sterling Longevity Necklace was handmade by the Tibetan Craftsmen in Tibet from sterling silver. Width: 3mm. Please choose the length of necklace.